Your day started as early as 4am as you made your way to Olympic Park for the start of the Prudential Ride London 100. Your nerves and adrenalin were sky high as you set off from Olympic Park amongst 25000 riders. You’ve been riding for hours, mostly without a break. You’ve already ridden 85 miles. Your legs feel like they’re made of something-marginally-lighter-than-Lead. You really need a boost to get you through the last 15 miles to the finish line on The Mall. Twice I’ve done RideLondon and both times I’ve received such a boost from the supporters. 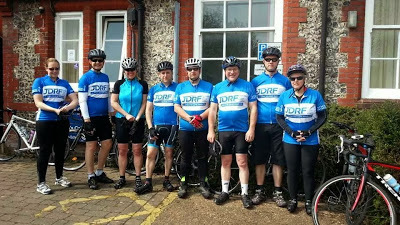 And isn’t it nice that Diabetes UK and JDRF all stand together, united in cheering their riders on, united in finding a cure. Of course Kingston isn’t the only place. I really got a great boost from being cheered on by one of JDRF’s Directors whilst nearing the top of Newlands Corner. Kingston though has one great advantage as you can see the riders on the way out to Surrey in the morning and on the way back. 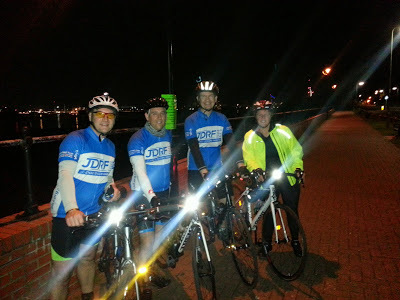 In 2015 JDRF’s Beki encouraged me to carry on cycling. And here’s the time I tried to high-five Phillipa in 2015 – that probably wasn’t my best move, I was lucky not to hit the railings. 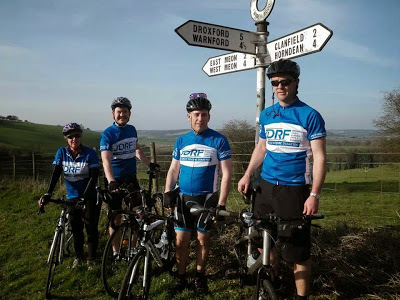 So, I wonder if I could ask a favour: if you’re near London on the 30th July could you go and support all those cyclists doing the Prudential Ride London 100 for either JDRF, Diabetes UK or DRWF (Diabetes Research & Wellness Foundation). The supporter point is here (near TK Maxx) and riders will be going through from 7:00 through 16:00 I guess – I got there by 10am. I’m sure if you do go you’ll have a great day out too. 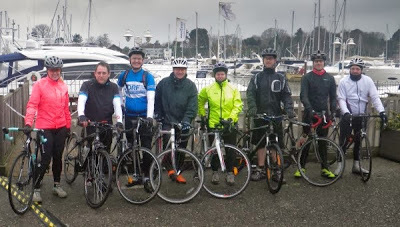 Here’s my video from my 2015 ride…if you’re really bored. ** Okay, maybe they’re there for others too but at that time it feels like they’re only here for you.